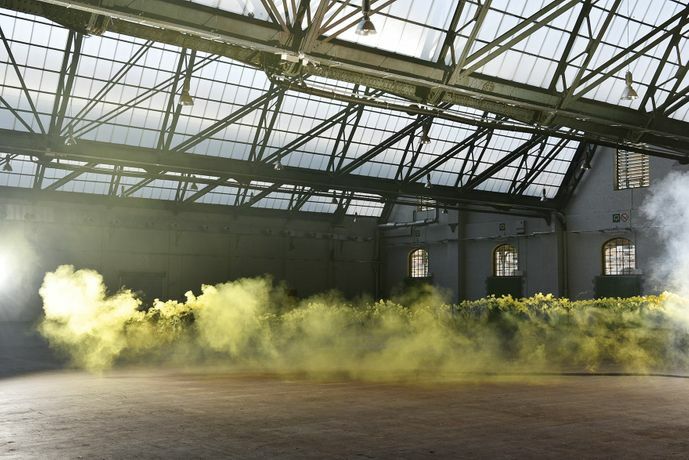 Art Brussels is a contemporary art fair that will take place at Tours & Taxis, a turn of the century customs house that provides a spectacular new location for the 34th edition of the fair. Art Brussels 2016 brings together 140 galleries from 28 countries and runs from Friday 22 April to Sunday 24 April, with the Private view and Vernissage on Thursday 21 April. The galleries will be split into different sections, including PRIME, showcasing well-known artists represented by established galleries and SOLO, emphasising presentations of work by individual artists. Art Brussels will also present DISCOVERY, featuring galleries that represent emerging artists and REDISCOVERY, a new section which will highlight overlooked artists from the historical avant-garde between 1917 and 1987. The fair’s flagship artistic project, an exhibition entitled ‘Cabinet d’amis’ with works from the collection of internationally recognised Belgian curator Jan Hoet, including those by Marlene Dumas, David Hammons, Luc Tuymans and many others, will be on display at Hôtel de la Poste. The Managing Director of Art Brussels is Anne Vierstraete and the Artistic Director, Katerina Gregos.